The Bogazici Universitesi AffecTech training event takes place in Istanbul, Turkey. 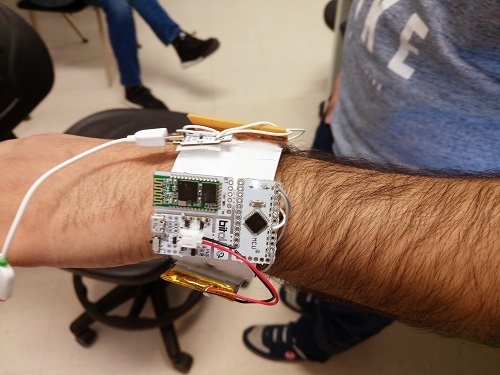 Wearable sensors for affect monitoring: This 4-day course (2 ECTS) will cover smart phones sensing frameworks, activity recognition based on acceleration and gyroscope sensors, analysis methods for wearable computing such as exploratory data analysis, hierarchical clustering and self-organising maps. Adds-On: ITM 5 (2 day) Company introduction, challenge set. Adds-On 3: WS-TS-5 Communicating with private sector and engaging with the public.